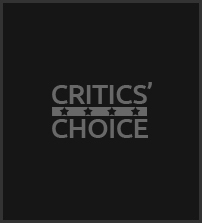 Voting for the 3rd Annual Critics’ Choice Documentary Awards closed at 6PM PT on Friday, November 9. Thank you to all of those Members who voted! Some say Michael Moore is biased. Yes, that’s probably true. However, Moore’s sense of humor and ability to put an issue or issues in the spotlight, gives us a place where we can all meet and openly discuss them. Hi Noel, I’ll reach out to you via email. I have the same issue while to “cast your vote”, I was kicked out and need to login again. This is a loop that I can not get out which means that I can not vote. Hi Yar, I’ll send you an email in a few mins so that we can figure out what’s going on. Everything is fine now. I just finished my vote. To answer your questions, I am using Firefox on my Mac to vote. Thank you for voting, Noel! And, thank you for your help!